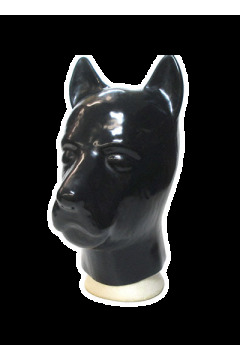 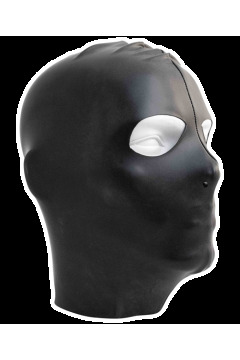 Heavy duty latex mask made of black 1,20 mm latex. 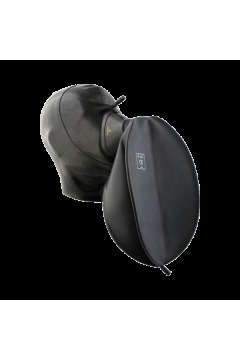 The mask has a rear zip with a zip-guard strip (which is to keep hair or skin from being caught in the zipper). 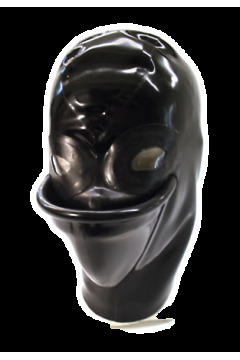 The mask has nose tubes on the inside.